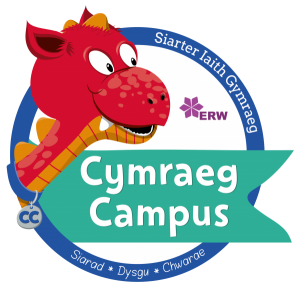 Crîw Cymraeg is a pupil voice group set up to encourage and promote the use of Welsh throughout the school, across the curriculum and in all areas of school life. We are working on the ERW Cymraeg Campus Bronze Award. This provides ideas and targets for us to work towards. We meet regularly and are fully involved in planning new and exciting ways to develop and encourage fellow pupils and adults to speak Welsh as much as possible in our school, for example saying ‘diolch’ instead of ‘thank you’ and responding with ‘croeso’ – ‘you’re welcome’. We teach Welsh playground games to other children in school. We give out a tocyn iaith (a Welsh token) to those children who speak Welsh in the playground, in corridors, in class etc and encourage the children and staff to speak Welsh. 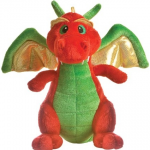 Each week, the child with the most tocyn iaith from each class takes home Dewi Dragon. The Criw Cymraeg also give out a Welsh certificate during awards assembly on a Friday to the child who has tried hardest to show they are improving their use of Welsh. Dewi also helps parents to learn Welsh, with his weekly Welsh corner on the school newsletter. 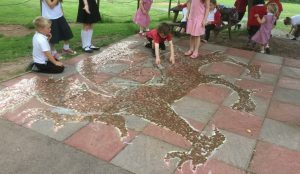 We made a “dragon arian”, where children were asked to donate pennies, which we used to form a dragon on our playground. The money raised was used to buy the Dewi Dragons and other Welsh resources. Watch this space for more innovative and fun ways of helping Cradoc to SIARAD CYMRAEG! SPEAK WELSH!